This time of year is all about togetherness, and what better way to get in the Christmas spirit than by planning meaningful and fun activities with your kids? 4. Visit an old age home. Play games or sing them some of the carols you’ve learned. 6. Make and decorate Christmas cookies. Here’s 30 great ideas to get you started. 16. Throw a Christmas party for friends and have a Secret Santa gift exchange. For lots of laughs, play with White Elephant rules: put the gifts in a pile in the middle. Go around the circle – each person can either choose to unwrap a new gift, or “steal” a gift someone else has already opened. 18. Make your own Christmas crackers. Have fun filling them with home-made treats or novelty gifts. 22. Purge old or outgrown clothes and donate them to charity. 38. Make a nativity scene. You could use peg people, modelling clay, toilet paper rolls, even Lego – here are 25 great DIY ideas. 47. Reflect on the year: what did you do well? What would you change next year? Start thinking about your New Year’s Resolutions. 54. 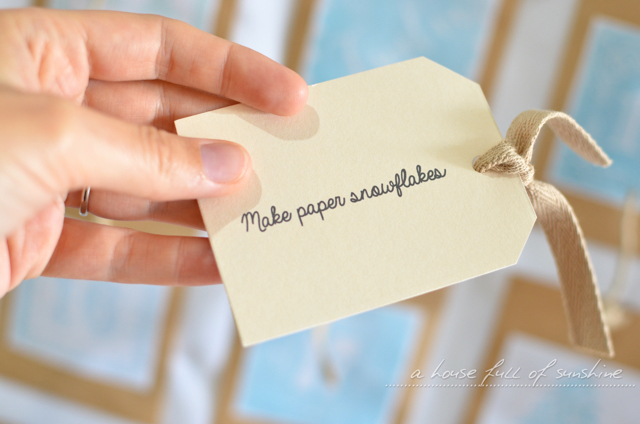 Make “reindeer food” to sprinkle on the lawn. Rolled oats and red glitter is a good combination. 56. Have a family memory show – set up a slideshow of photos from the past year and run it through the TV or a projector. Talk about your best memories of 2015 together. 57. 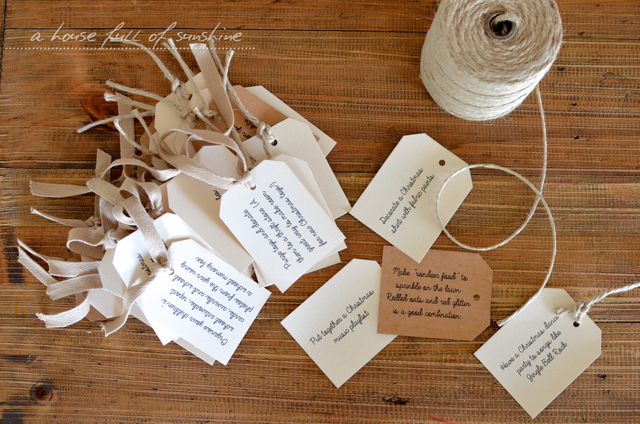 Have each family member write down their best memory of the year, and put them in a box. 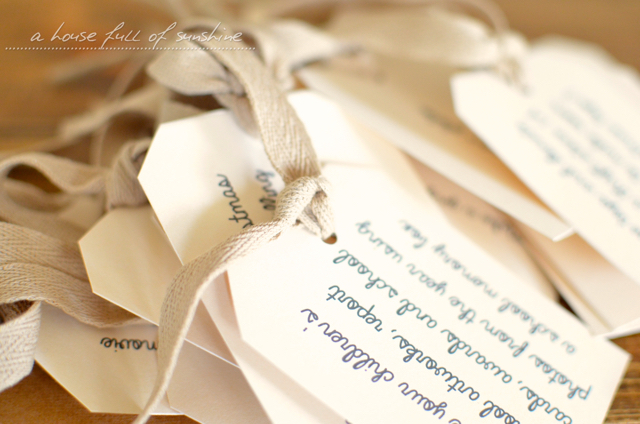 Start a tradition where you take out the memory box on Christmas Eve each year and look over your past memories before adding new ones. 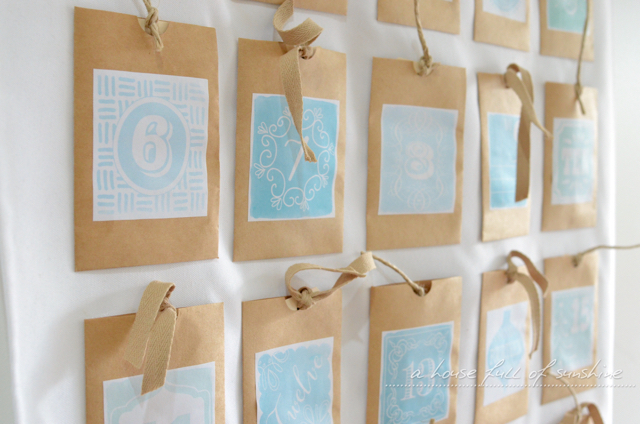 I’ve taken these ideas and made them into a cute Advent printable for you. 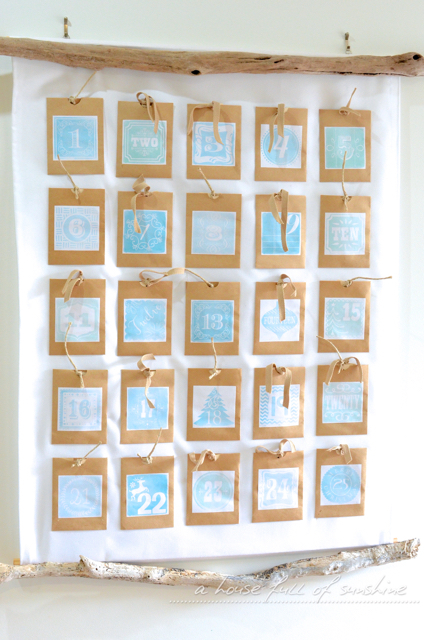 Just print the tags on cardstock and cut them out with a paper trimmer, choose the ones you want to use to personalise your 25 days of Advent, then punch a hole and add some ribbon or twine. Just the right size to slip into an Advent pocket. With one special activity to do together each day until Christmas, you’ll treasure the family time you spend together making memories. 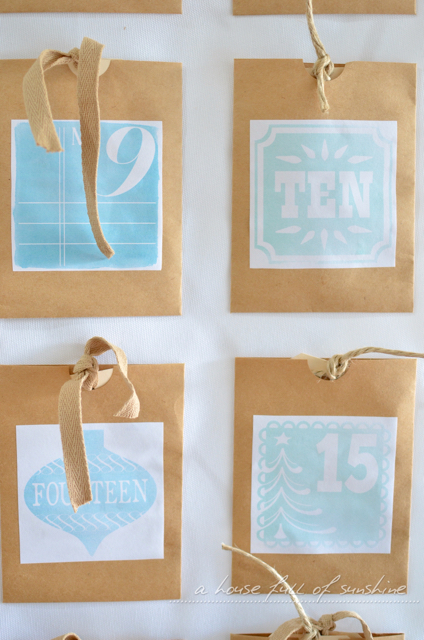 Need some inspiration to create your own Advent calendar? 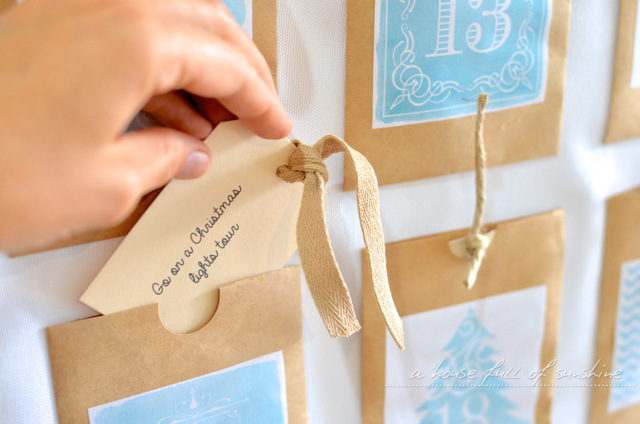 You can find step-by-step instructions to make this simple DIY Advent wall hanging pictured here. This is the second year we’ve used ours, and it’s still going strong! I just love it, and it makes such a gorgeous feature hanging in our entry hallway. I hope you find some inspiration in this list for your holiday season. Enjoy this precious family time with your kids! I’ll be back soon to share some fun Christmas DIYs and a full Christmas home tour.